Half Tide beach a semi-secluded beach located at the base of Goanna Headland and can be seen for Razorback Lookout. 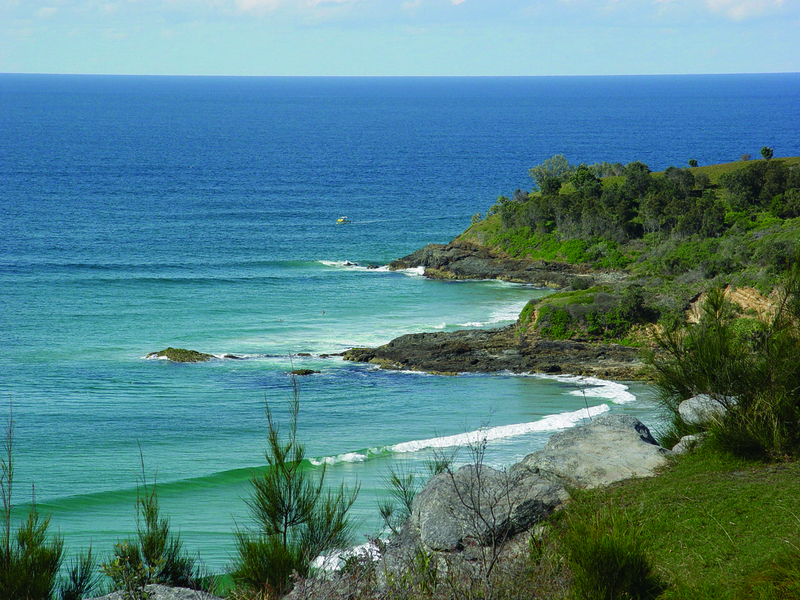 The beach is popular for surfing, fishing and sunbaking. The track down to Half Tide is approximately 1 kilometre long from the car park at the end of Ocean Drive and can be steep and rocky in certain places.